Next Level Two Tone Nails. Tutorial Provided! 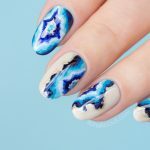 Recently I collaborated with a new Australian brand, Say It With Polish, to create a dozen new designs with their new polish collection. One of my favourite looks are these Next Level Two Tone Nails. 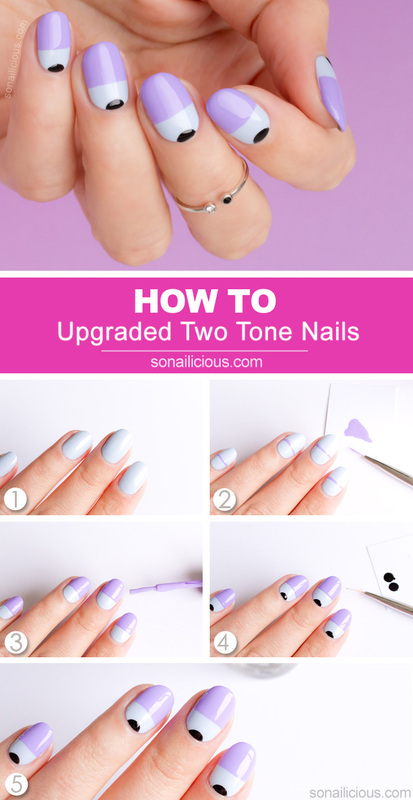 So before we descend into Halloween with it’s abundance of ghoulish nail art and cute pumpkins, here’s a quick tutorial on Two Tone nails. 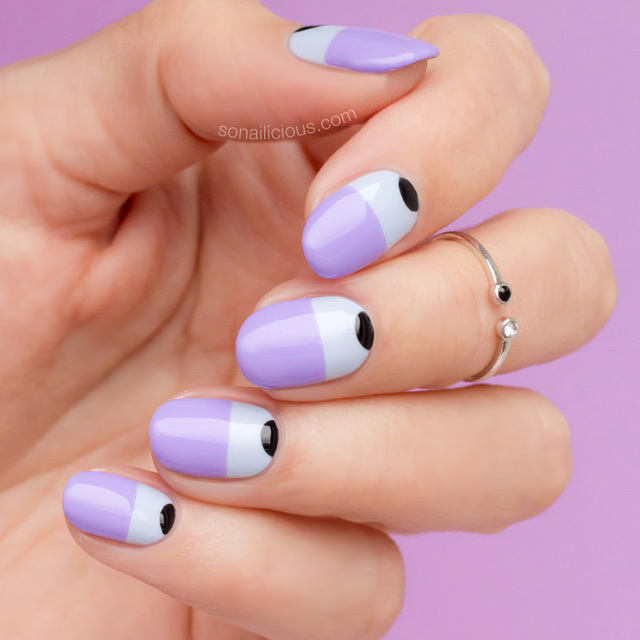 This nail design is a real multi-tasker, you can even convert it into an edgy Halloween nail art by using traditional Halloween colours. It’s also relatively easy to do, so if you’re keen to try freehand manicures for the first time, this is a great way to start. Alternatively, this look can be easily recreated with stencils, I’ll explain how. Without further ado, let’s see the how-to. Paint all nails with 2 coats of light blue polish. Use a striping nail art brush to paint thin lines with purple polish on all nails as pictured. Use the polish brush to fill in one side of a nail with purple polish. Repeat on all nails. 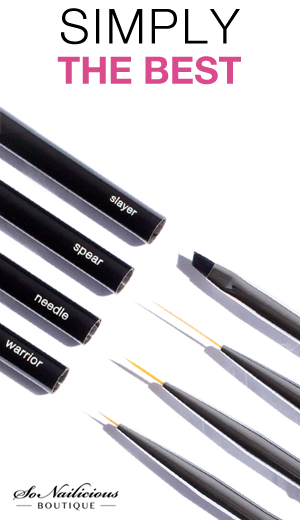 Use a detailing nail art brush to tiny half moon details with black polish on all nails. 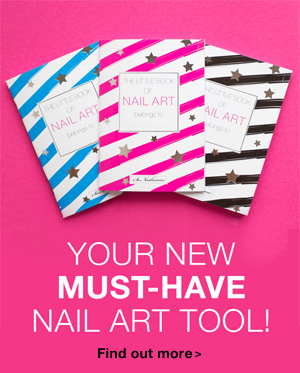 Let your nail art dry for 5 – 10 minutes, then apply 2 coats of a quick dry clear top coat and you’re done. 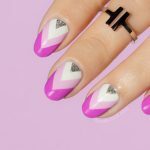 ***To re-create this nail design with stencils follow this easy nail art tutorial. Essie Gel Setter top coat. So what do you think about this Upgraded Two Tone nail design? Will you give it a try? If you do, I’d love to see your creation – Tweet or Instagram me a photo with the tag #sonailicious. P.S. 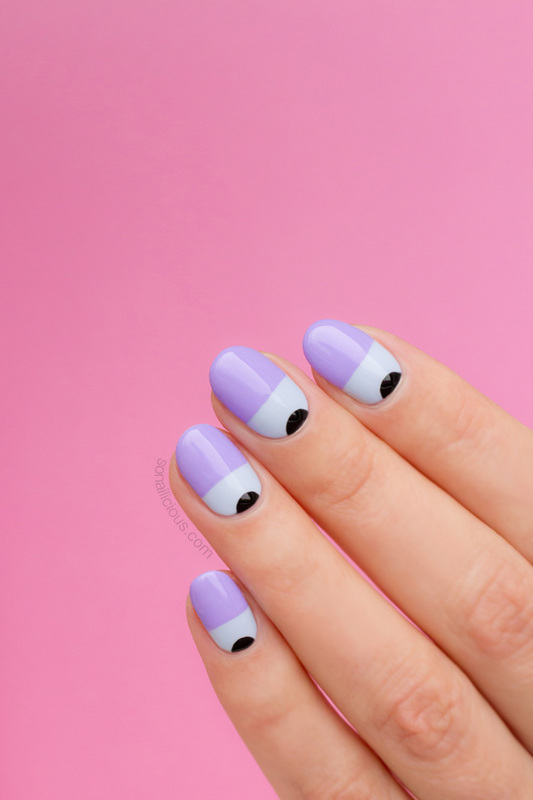 Looking for more Minimalist nail art ideas? We’ve got you covered! 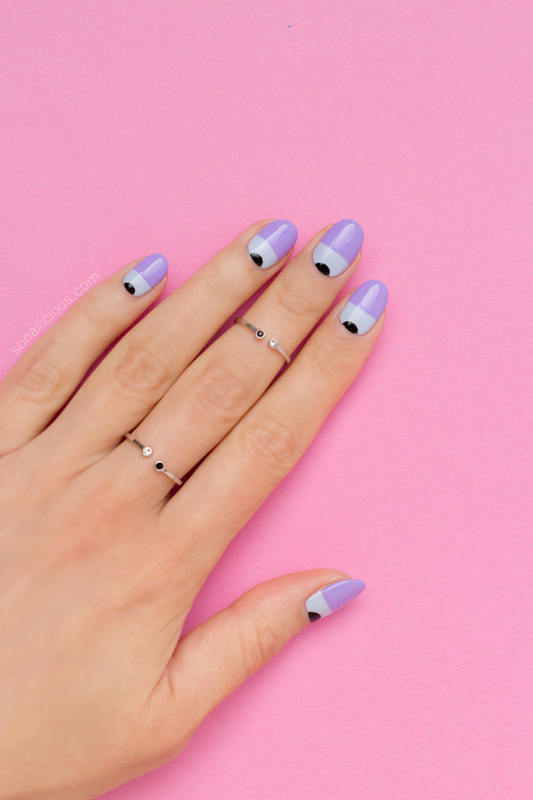 Try this monochrome nail tutorial or this edgy nail art.